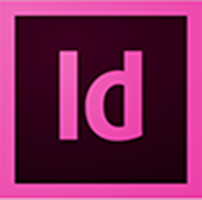 InDesign is a layout program and the industry standard software for producing publications. You can bring together all your artwork from Illustrator and Photoshop to create multiple page spreads and layouts. You can generate e-books for devices like a Kindle, you can also create layouts for viewing on tablets like the iPad, you can even add in video and export interactive PDF files. Thanks for visiting our web site. All our Adobe courses follow the Adobe Certified Exam Objectives. The training course notes which you take away with you at the end of your training session, cover the topics for each objective. So, if you decide that you want to take the Adobe Exam, you will have the necessary skills! Come and learn how…Great Training at Great Prices !